Who Needs a Calendar in the Digital Age? Lots of folks. If you’re like most of us, you love your gadgets and your apps. You depend on your desktop computer in the office and the smartphone in your pocket. The chances are also very good that you rely on a piece of very old technology to keep you on schedule - a paper calendar. For 32% of businesses, the primary calendar at work hangs on the wall. Only 17% use a digital calendar as their primary means of staying on schedule. Over 50% keep a calendar past the end of the year for reference. 22% of survey respondents still use a desk calendar. 13% rely on a day planner. So, if you still depend on a paper calendar to organize your days, and weeks, and months; you’re in very good company. Crash Proof - Paper calendars don’t run out of batteries or fail when there’s no cell service or wifi. Portable - A Dayminder fits easily in a pocket, a briefcase, or a purse. Notable – Meeting notes and scheduling on the fly with a ballpoint or a pencil. Quick reference - calendars and planners are easily accessible. Inexpensive - Actually cheap. The annual investment in a great calendar or planner is usually less than $30. What will you do for 2017? Buy your favorite calendar, planner, or appointment book now! Sphinx Business Solutions has put together a catalog of 100 of our favorite calendar products. We’ve included desk calendars, blotters, and the popular Dayminder® At-A-Glance planners in daily, weekly, and monthly formats. Just click the link or the banner ad at the bottom of this page to download the catalog, then give us a call to order the calendars and planners that your team uses every day! Need a unique gift for your clients? 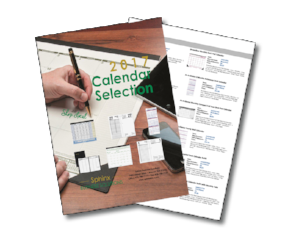 Custom calendars are a great way to keep your company’s brand and contact information in front of customers and prospects all year long. Sphinx Business Solutions can help with design and production of gift calendars that will be appreciated and used every day. 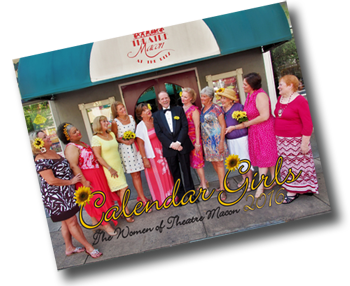 Theatre Macon used this fantastic calendar to promote their production of Calendar Girls in 2015. Don’t hesitate to call Stan, Gwen, or Jim at 478-788-7171 if you need immediate service or fill out the form at the top of the page and we’ll call you. 2017 Calendars Are On Sale! Fill out the form below and we'll call you! Is there a specific question we can answer? Locations & Hours • Copyright © 2019 Sphinx Inc.